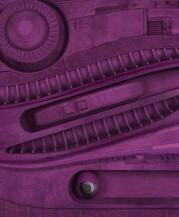 As you can see, Chris Veale has done the business once again, recreating the shape and style of the object in question. 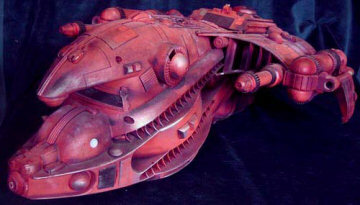 What differs somewhat is the colour - the ship is more on the red side of maroon than solid purple. But with Series I's cover already red, and in the absence of any ships in VII that aren't grey, we felt this to be an acceptable... tweak. Anyway, here we are again. 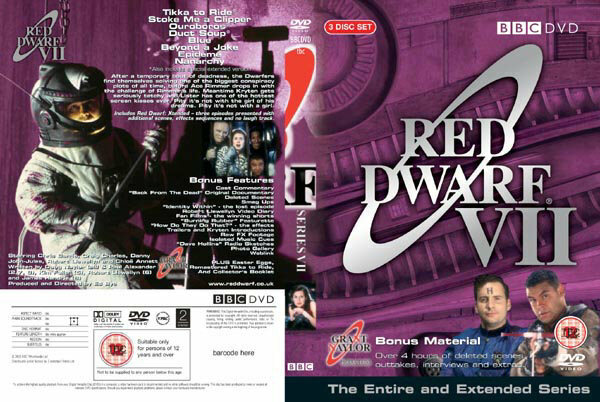 Another Rimmer-Lister pairing on the cover, another group shot on the back, another character shot on the spine. 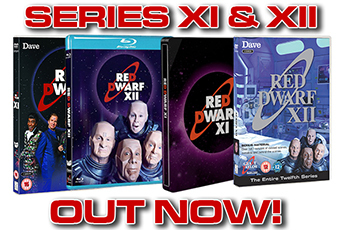 'Over 4 hours of deleted scenes, outtakes, interviews and extras' this time - up an hour on previous releases, and rendering the 'over 90 minutes' of Series I and II a distant memory. 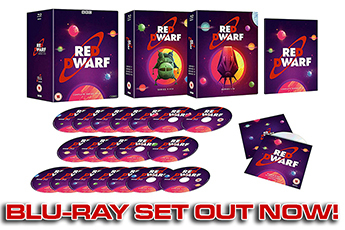 Now each series and its bonus content is spread over three discs we've had to include a third character on the DVD 'onbody' art. It will come as a surprise only to arctic polar bears without adequate home viewing facilities that the third character is Kryten. 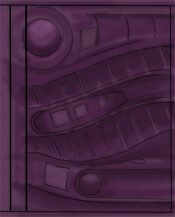 As for the Collector's Booklet - well, there's more to talk about this time, right? More episodes, more extras? So the booklet has more pages - 16 in fact. The format is much the same as before, but with a few twists and additions. 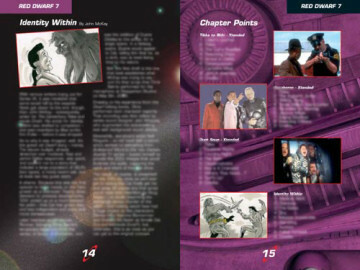 As you'd expect, two of the new pages are given over to episodes - Series VII has two more eps than VI had, and we like to spend a page talking about each individual show - but another page contains some more in-depth information on Identity Within, the lost episode which features among VII's bonus material. Oh, and there's a page for IDW and Xtended chapter points. We'd hate you to get lost. 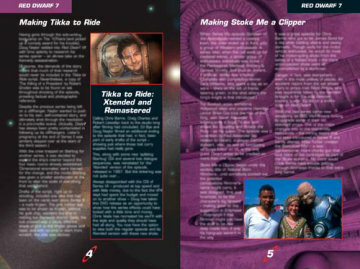 There are also box-outs on the Tikka to Ride, Ouroboros and Duct Soup pages detailing the differences between the original episode and the Xtended versions. 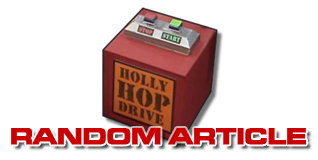 Tikka's box also explains the decision to include a remastered version of the episode. So there you have it. 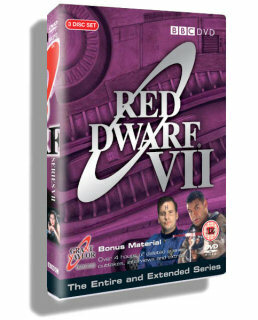 With the Content Confirmed	we have only a few more updates to go before Series VII will be appearing on a shelf near you!